Your cat will love the meal awaiting her when you pop open a can of Chicken & Wheat Germ Dinner. This first-class recipe provides your feline with the important nutrients she needs without using the filler ingredients she doesn't. It's made with real, cage-free chicken—plus, healthy ingredients like wheat germ and kelp. You won't find any animal by-products, artificial flavors, colors, preservatives, sweeteners or sugar. Instead, PetGuard recipes are packed with vitamins, chelated minerals and omega fatty acids. These necessary ingredients help to support your cat's healthy heart, liver, skin and coat, nourishing her whole body with the goodness she needs. Best of all, the family behind PetGuard has been putting your pets' health first since 1979, and makes this tasty recipe here in the USA. The first ingredient is real, cage-free, hormone-free chicken for a protein-packed meal. Cats love this food. I like this food! What else is there to know! I love the ingredients and the fact the PetGuard is a cruelty-free brand. It arrived relatively quickly. One of my cats is very old and a bit particular. I think she is not as keen on the flavor, even though she only likes poultry foods. She will eat it most of the time, but sometimes she will snub it. Cats love this food. High nutritional value and difficult to locate in local stores yet Chewy has it all. Been using Petguard since many years as12.5 oz cans are convenient for multiple cats owners. 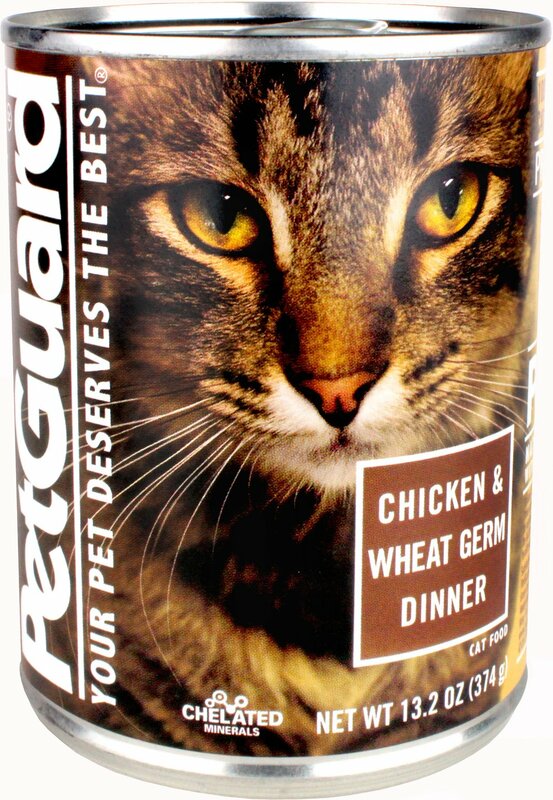 Most of my cats like the Chicken -Wheat grass flavor but prefer Petguard Fish-Chicken & liver a bit better. We were looking for large cans of quality food to feed our 8 cats. They seem to like this well enough. We will keep it in the rotation. I have been buying Pet Guard for my cats since I discovered it several months back. I am glad to have found chewy.com as they have the bst prices. I started buying Pet Guard because it comes from a family-owned-operated farm since 1979 and the animals are not brutalized as is the case with most other brands. It is also clean food. 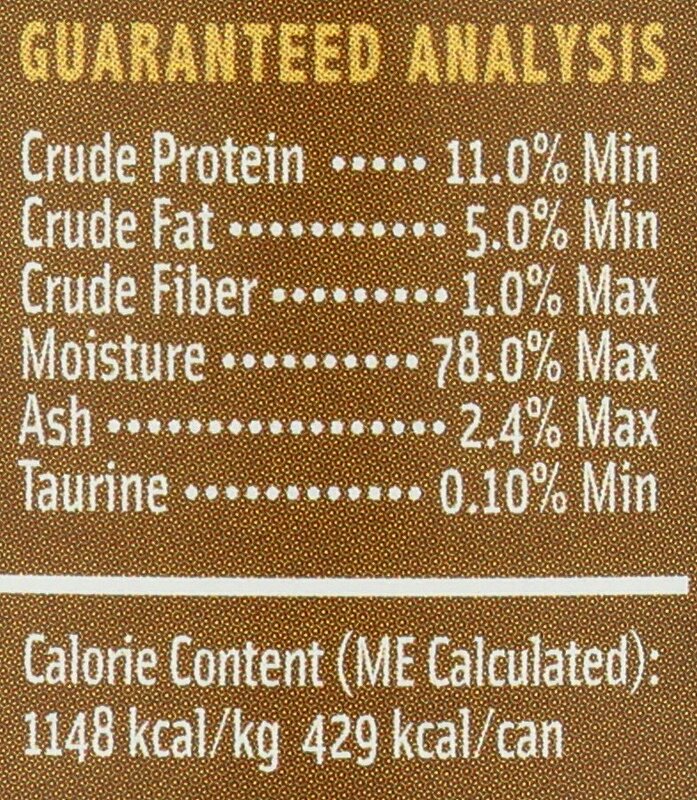 I had bought PetGuard dry food for my cats specifically because it is one of the few foods that does not contain CARAGEENAN, which is known to cause intestinal cancer in animals and humans. My cats loved it. Their coats became glossier than I could have imagined and their activity levels were increased. My vet requested that I place one of my cats on wet food due to an accident that required the removal of his left eye. Again, they were over the moon for the PetGuard Chicken. I really appreciated that, for the first time in my life, I wasn't made ill by the smell of the wet food. I would and have recommended both of PetGuard foods to friends and will continue to do so. Moist with chicken broth, smells good, kitties love it! 21 year old cat was having trouble eating anything. I tried mixing Chicken and wheat germ Petguard with hot water to an "applesauce" consistency and she loves it.